I wanted to start a thread that specifically recognizes Paul's Philanthropy. I believe he was the Top Philanthropist's several times over the years. 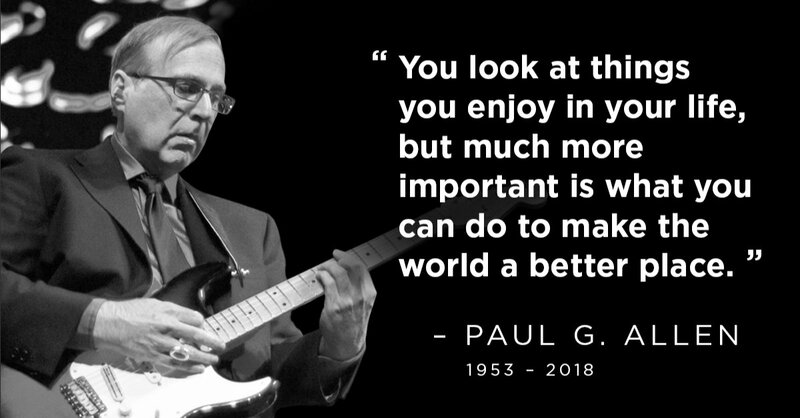 Empowered by Paul's vision to create a better world, we take an unconventional approach to tackling hard problems by integrating technology, data, policy, and powerful storytelling to drive positive change in our community and around the globe. ...he used his wealth wisely as a philanthropist. Estimates suggest he donated more than $2 billion in total, including $500 million to his Allen Institute for Brain Science. His fondness of Jimi Hendrix led to him loaning $6 million to the Hendrix family to help in a legal battle to regain control of the guitarist’s image and music. This love of music also extended back to the Seattle area. The Experience Music Project (EMP) opened in 2000, funded by a $100 million investment from Allen. 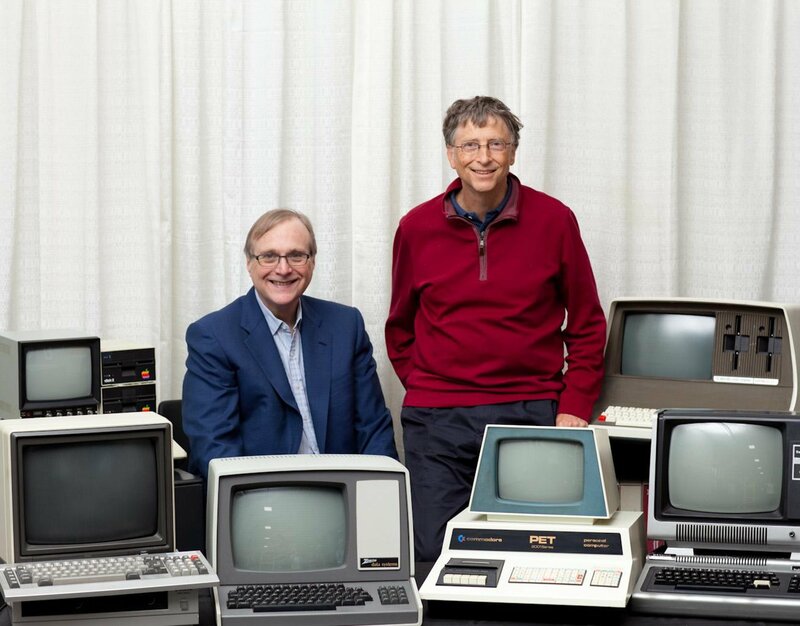 Most recently, Allen donated $26 million to Washington State University to create the Paul G. Allen School of Global Animal Health, and he created a Tackle Ebola initiative with $100 million of funding to fight the disease. Jimi Hendrix has always been my favorite, and I can't wait for the day when I get to see the Museum. Quincy Jones compared Paul Allen's playing to Jimi Hendrix, who was Paul's idol. I can't comment on that, but this is pretty darn good! It'd be nice if a statue of Paul was erected by the main entrance to Centurylink. 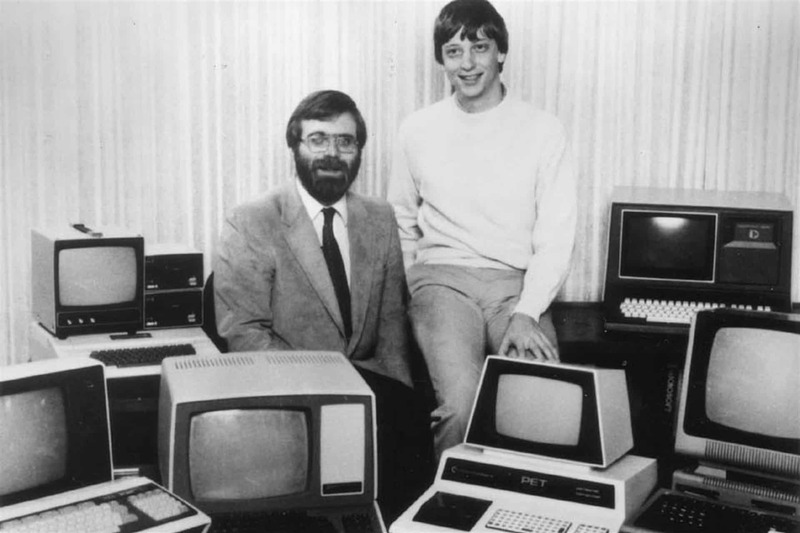 While I was at WSU, Paul Allen funded a program to wire all the Fraternities/Sororities with high speed internet. This was mid-90s, so it was pretty cool having Ethernet ports in every room of our old/ancient fraternity house when dialup was still common.